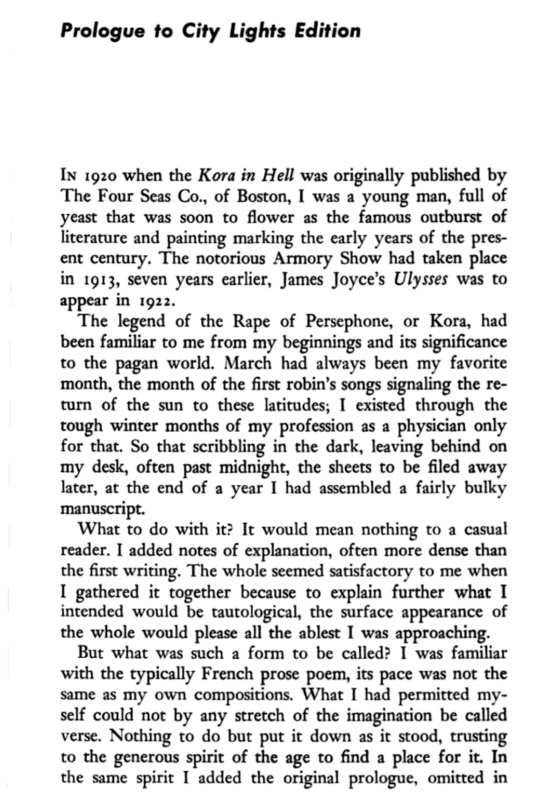 Below is the prologue Williams wrote for the City Lights edition of Kora. The text and this prologue are included in the collection Imaginations published by New Directions Press, that includes Kora in Hell, Spring and All, The Descent of Winter, The Great American Novel, and A Novellete & Other Prose. “And indeed she is, an impoverished, ravished Eden but one indestructible as the imagination itself. Whatever is before her is sufficient to itself and so to be valued” (7). “Thus seeing the thing itself without great forethought or afterthought but with great intensity of perception, my mother loses her bearings or associates with some disreputable person or translates a dark mood. She is a creature of great imagination. I might say this is her sole remaining quality. She is a despoiled, molted castaway but by this power she breaks life between her fingers” (8). “It is to the inventive imagination we look for deliverance from every other misfortune as from the desolation of a flat Hellenic perfection of style. . . . If the inventive imagination must look, as I think, to the field of art for its richest discoveries today it will best make its way by compass and follow no path” (14–15). “The imagination goes from one thing to another. Given many things of nearly totally divergent natures but possessing one-thousandth part of a quality in common, provided that be new, distinguished, these things belong in an imaginative category and not in a gross natural array. To me this is the gist of the whole matter. It is to fall under the spell of a certain mode, especially if it be remote of origin, leaving thus certain of its members essential to a reconstruction of its significance permanently lost in an impenetrable mist of time. But the thing that stands eternally in the way of really good writing is always one: the virtual impossibility of lifting to the imagination those things which lie under the direct scrutiny of the senses, close to the nose. It is this difficulty which places a value on all works of art and makes them a necessity” (14). “All is confusion, yet it comes from a hidden desire for the dance, a lust of the imagination, a will to accord two instruments in a duet. . . . It is only the music of the instruments which is joined and that not by the woodworker but by the composer, by virtue of the imagination. On this level of the imagination all things and ages meet in fellowship. Thus only can they, peculiar and perfect, find their release. This is the benificent power of the imagination” (18–19). “All things brought under the hand of the possessor crumble to nothingness. Not only that: He who possesses a child if he cling to it inordinantly becomes childlike, whereas, with a twist of the imagination, himself may rise into comradeship with the grace and beautiful presences of antiquity” (20). “The birth of the imagination is like waking from a nightmare. Never does the night seem so beneficent” (21). “It is at these times [pianissimo transition passages in Beethoven] our formal relations have teetered on the edge of a debacle to be followed, as our imaginations have permitted, by a new growth of passionate attachment dissimilar in every member to that which has gone before” (22). By a mere twist of the imagination, if Prufrock only knew it, the whole world can be inverted (why else are there wars?) and the mermaids be set warbling to whoever will listen to them. Seesaw and blindman’s buff converted into a sort of football” (25). First published in June 1923 in the periodical The Dial, William Carlos Williams’s Spring and All is a representative modernist text. 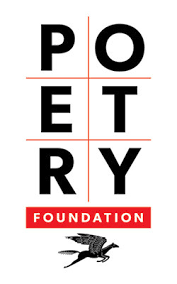 It can be read along with T. S. Eliot’s poem “The Waste Land” (which had appeared in The Dial in 1922) as exemplifying the experimental approach to literature between the wars. 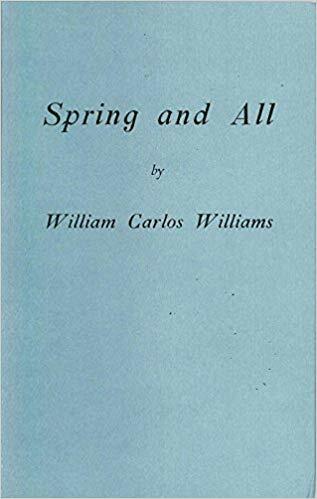 But to read Spring and All as simply a counterpoint to “The Waste Land” is to miss the radically distinctive presence of Williams in the tradition of modernism. For Eliot’s formal inter-textual method of allusion and quotation—Williams would describe Eliot and Pound as “men content with the connotations of their masters” (Selected 21)—stands in sharp contrast to Williams’s embrace of the dynamic aesthetic innovations of the avant-garde. As Williams explains, Spring and All “was written when all the world was going crazy about typographical form and is really a travesty on the idea” (Imaginations 86). 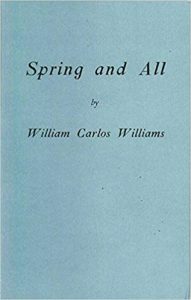 An improvisational sequence of twenty-seven untitled poems and associated prose fragments, Spring and All is a vital example of Williams’s early experiments with form. 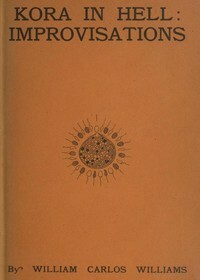 The text of Spring and All is distinctive for other reasons as well: it incorporates the methods of collage and juxtaposition in the visual arts of the period; it transgresses boundaries among genres, raising fundamental questions regarding the distinction between poetry and prose; it is a parody of nationalistic postwar rhetoric in the United States; and it is a modernist manifesto on the social and cultural value of art. 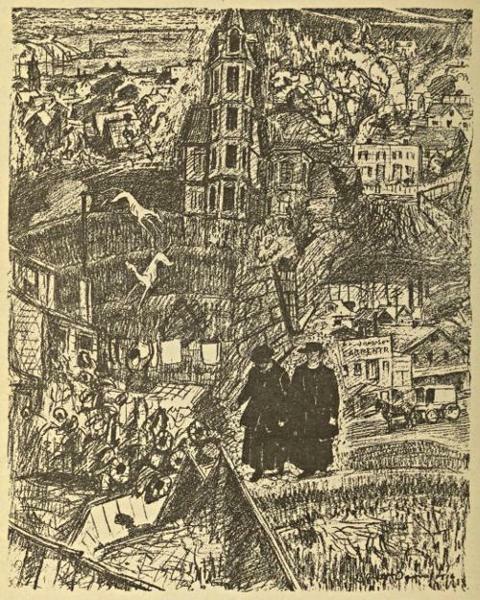 The text of Spring and All contains among Williams’s most well-known and widely anthologized poems—“Spring and All,” “To Elsie,” and “The Red Wheelbarrow.” The poems reflect his abiding commitment to the local conditions and people of his time and place. They register the mind apprehending particulars, “Now the grass, tomorrow / the stiff curl of wildcarrot leaf // One by one objects are defined— / It quickens: clarity, outline of leaf” (96), and they attend with loving eye to individual persons—“The farmer in deep thought / is pacing through the rain” (98) and “. . .a girl with one leg / over the rail of a balcony” (120). Spring and All is not least a breathtaking commentary on the necessary and ongoing activity of imaginative labor. 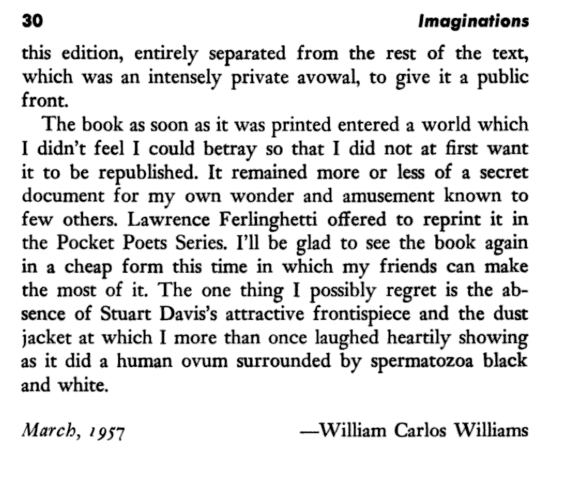 “The imagination goes from one thing to another” (Selected 11) Williams explains; and it follows that the reader must remain attentive to the text’s movement from one thing to another. Not unlike Walt Whitman, Williams insists upon the reader’s active role in the production of meaning. The experience of reading Spring and All is challenging for precisely this reason. As Williams insists in Spring and All, “There is no confusion—only difficulties” (140). In other words, the confusion one may experience reading Spring and All in no way implies a “confusing text”; on the contrary, it is a condition naming the experience of a reader, face-to-face with the generative state in which the imagination becomes aware of itself. To whom am I addressed? To the imagination. To refine, to clarify, to intensify that eternal moment in which we alone live there is but a single force—the imagination. Only the imagination is undeceived. Among them, without expansion of imagination, there is the residual contact between life and imagination which is essential to freedom. So, then––Nothing is put down in the present book––except through weakness of the imagination––which is not intended as of a piece with the “nature” which Shakespeare mentions and which Hartley speaks of so completely in his Adventures: it is the common thing which is anonymously about us. The inevitable flux of the seeing eye toward measuring itself by the world it inhabits can only result in himself crushing humiliation unless the individual rise to some approximate co-extension with the universe. This is possible by aid of the imagination. Only through the agency of of this force can a man feel himself moved largely with sympathetic pulses in his work. In the composition the artist does exactly what very eye must do with life, fix the particular with the universality of his own personality––Taught by the largeness of his imagination to feel every form which he sees moving within himself, he must prove the truth of this by expression. Only through the imagination is the advance of intelligence possible, to keep beside growing understanding. Whitman’s proposals are of the same piece with the modern trend toward imaginative understanding of life. The largeness which he interprets as his identity with the least and the greatest about him, his “democracy” represents the vigor of his imaginative life. The only means he has to give value to life is to recognize it with the imagination and name it; this is so. To repeat and repeat the thing without naming it is only to dull the sense and results in frustration. The value of the imagination to the writer consists in its ability to make words. Its unique power is to give created forms reality, actual existence. First must come the transposition of the faculties to the only world of reality men know: the world of the imagination, wholly our own. From this world alone does the work gain power, its soil the only one whose chemistry is perfect to the purpose. The same thing exists, but in a different condition when energized by the imagination.